Namaskar! 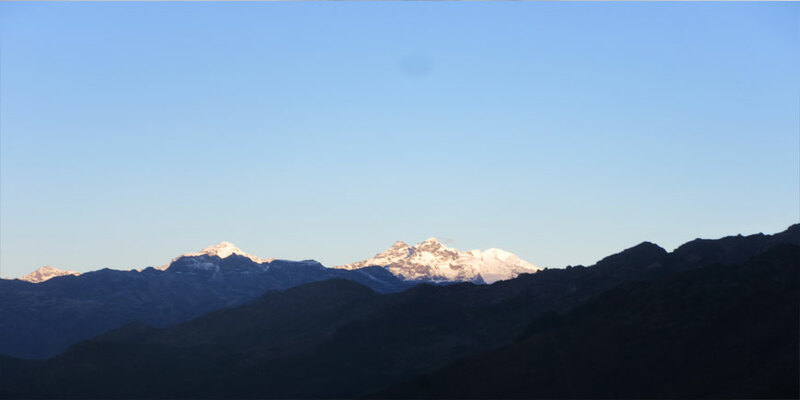 We, the team of Advent Himalaya Treks would like to welcome to you heartily in this tiny but amazing country "Nepal". The name itself is a self-explanatory that we are specialized in the adventurous activities relating to white Himalayas and trekking. The ‘Advent Himalayan Treks’ was established in 2009 by the well-experienced and committed team of professional mountaineers, tour and trekking guides who already spent over a decade in trekking and tours and made a successful summit on a numerous mountains including Mt. Everest. All the members of the team in Advent Himalayan Treks are trained by the Nepal Mountaineering Association, Ministry of Tourism and Culture, Trekking Agency Association of Nepal and from a numerous of other organizations relating to trekking, tour, mountaineering and other fields. They are the license holders to work in their respective filed of expertise and are devoted to make you fully satisfied during your trip not only in Nepal but also in Tibet, Pakistan, Bhutan and India, who would like to discover the natural diversity, cultural variety, flora and fauna through any activities — trekking, mountaineering, Safari and other adventure sports. It is one of the authorized and is a well reputed company in Nepal which has set a track record in the field of trekking in Nepal. Our experienced and well dedicated team is committed to make your holiday the most unforgettable. We provide the best service with a blend of care and sincerity to make each of them feel at home, so that they could enjoy their journey to Nepal with fullest to everyone who comes in our contact, you might be one. We are social worker and well tourism enterpreneurs. We are Executive Member of TAAN, Adventure, Nature , Cuture heritage lover. Year of 2017 - 2019 for two years working as Central Executive Committee Member at Trekking Agencies Association of Nepal.